Beach wedding. 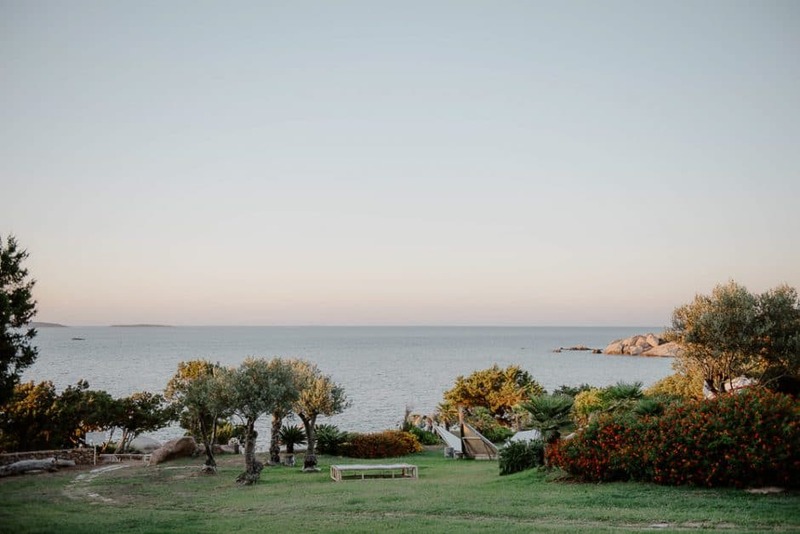 Baja Sardinia. 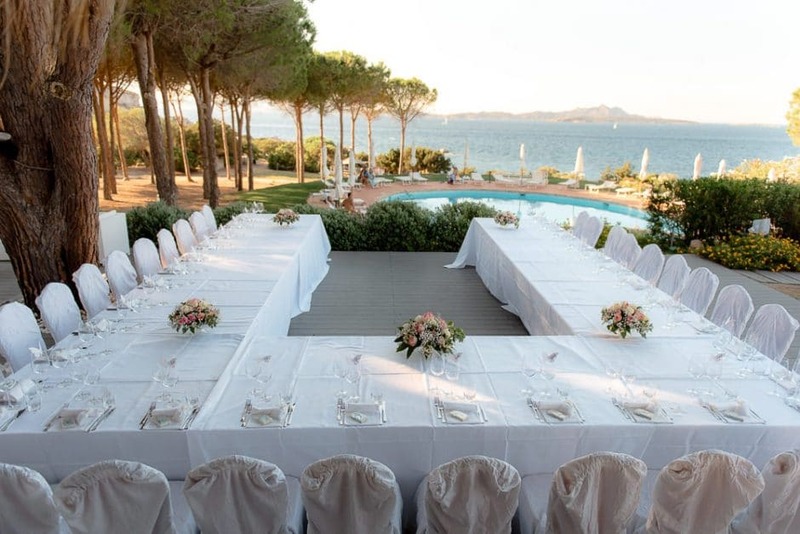 Olbia. 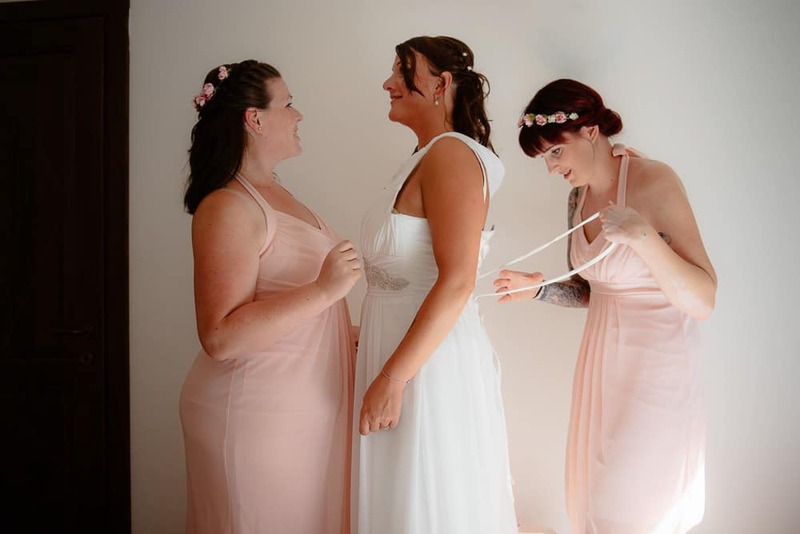 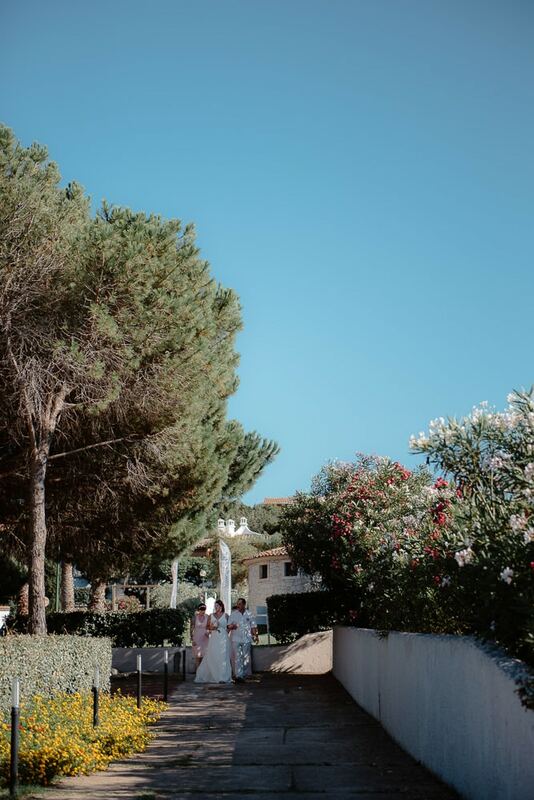 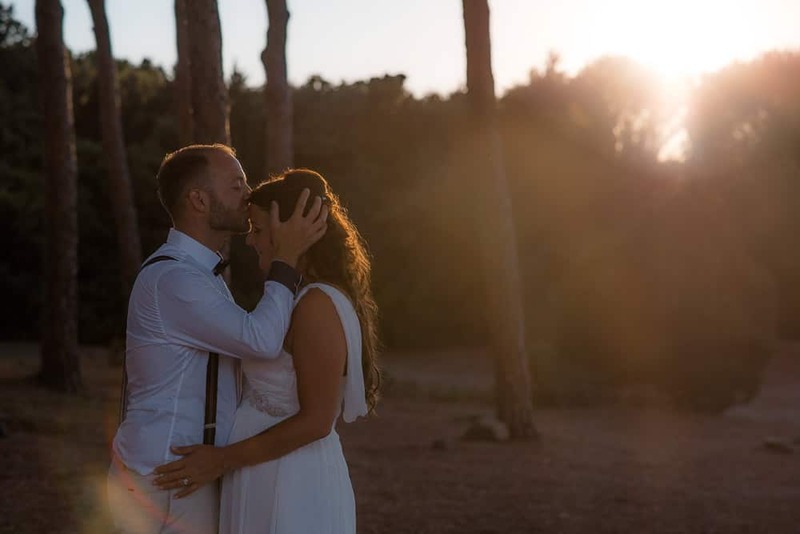 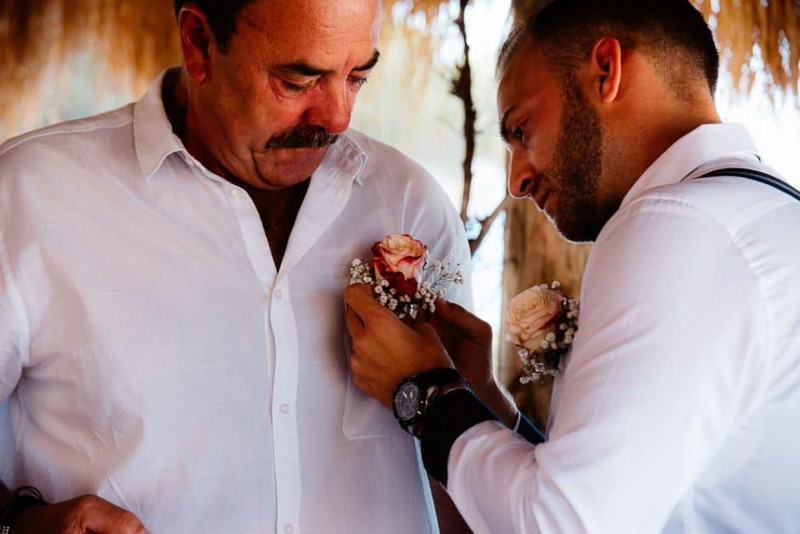 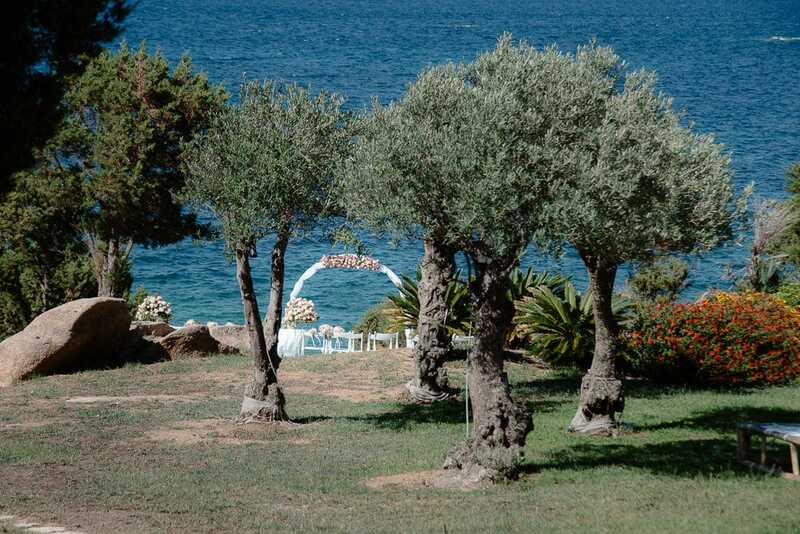 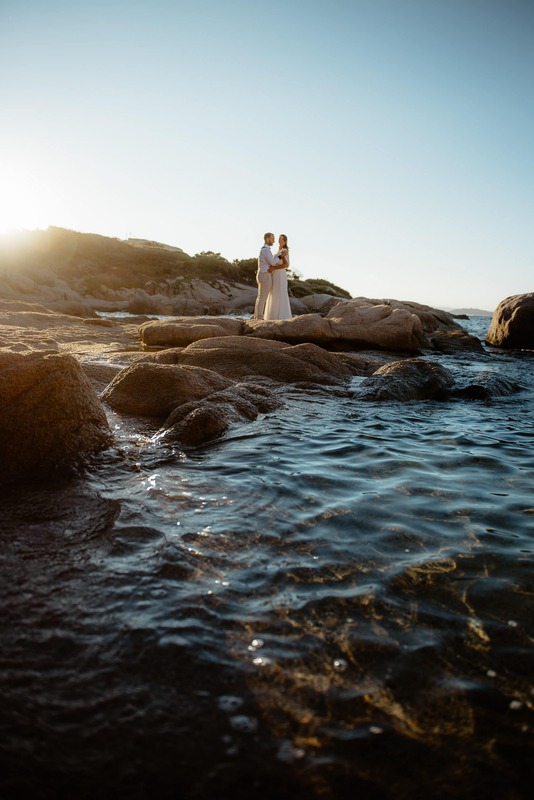 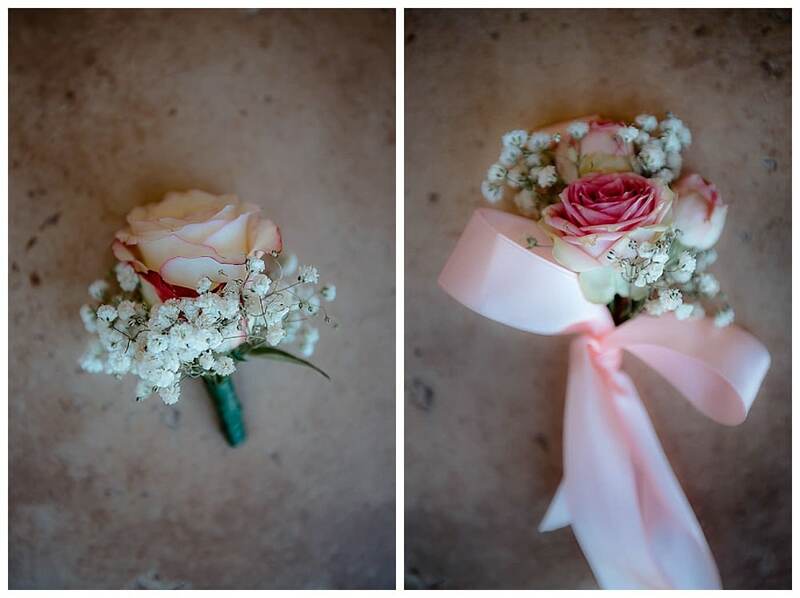 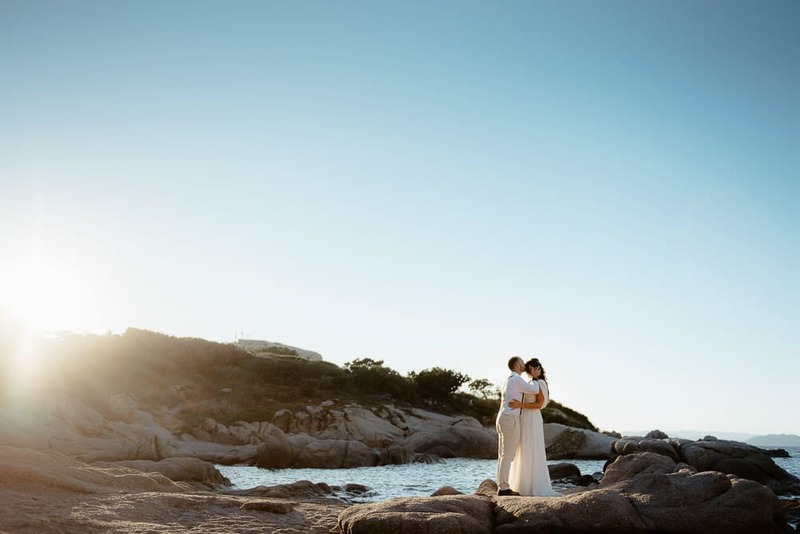 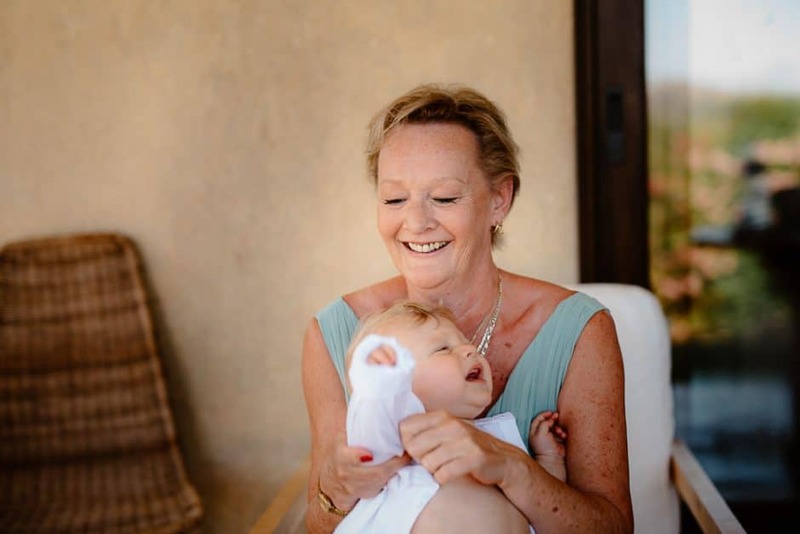 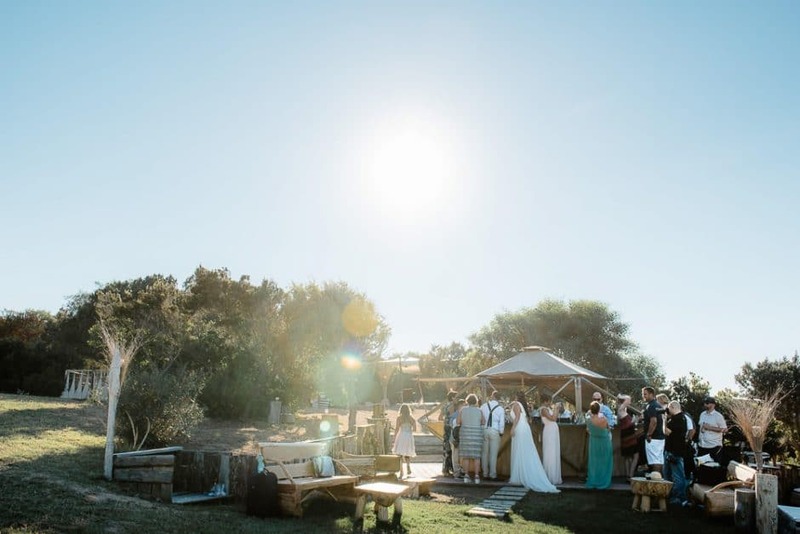 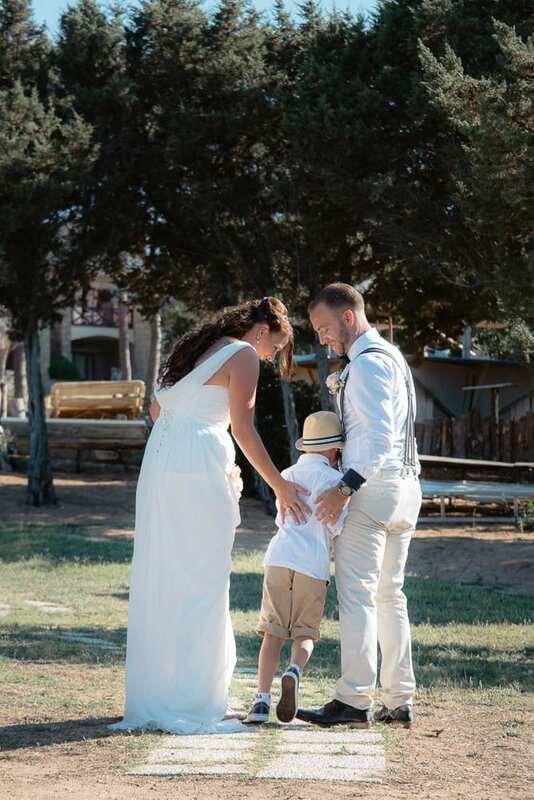 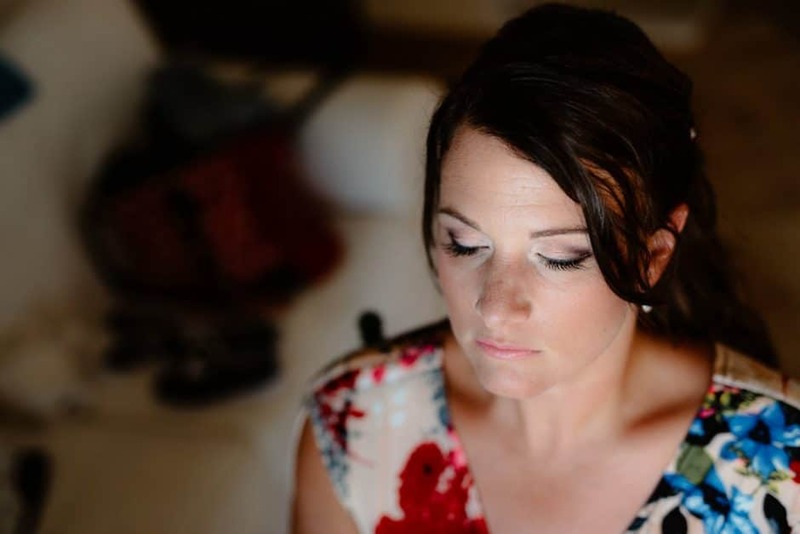 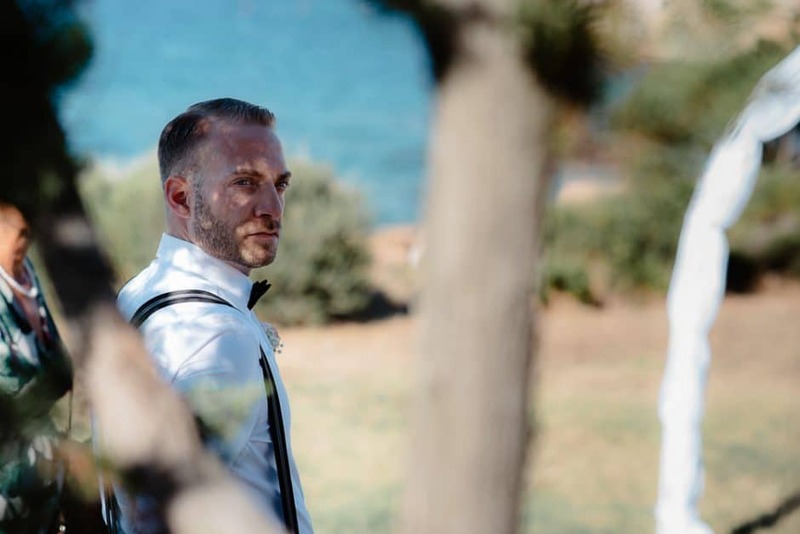 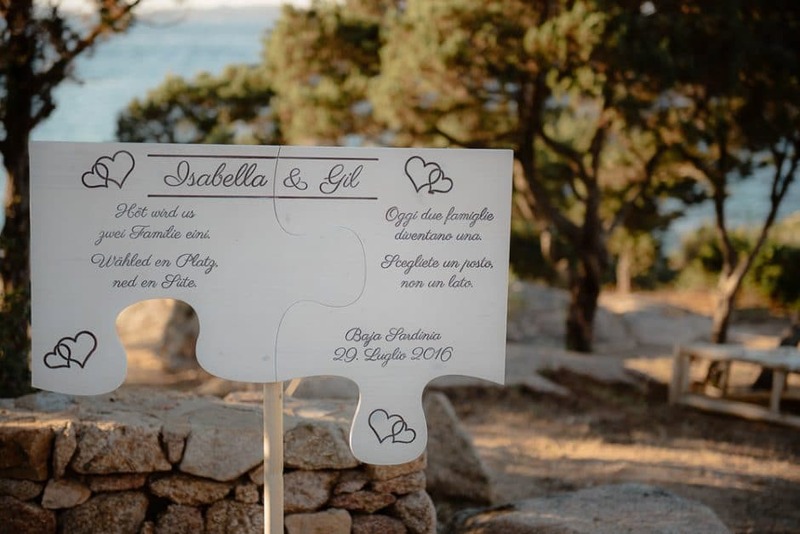 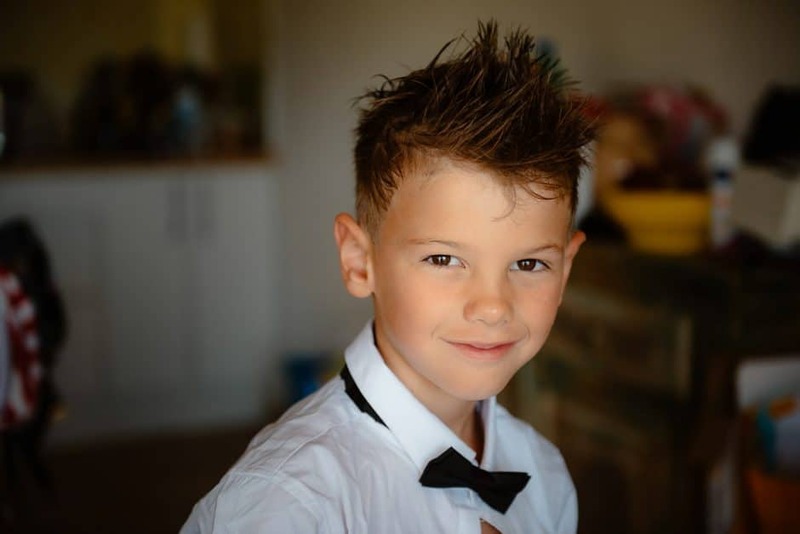 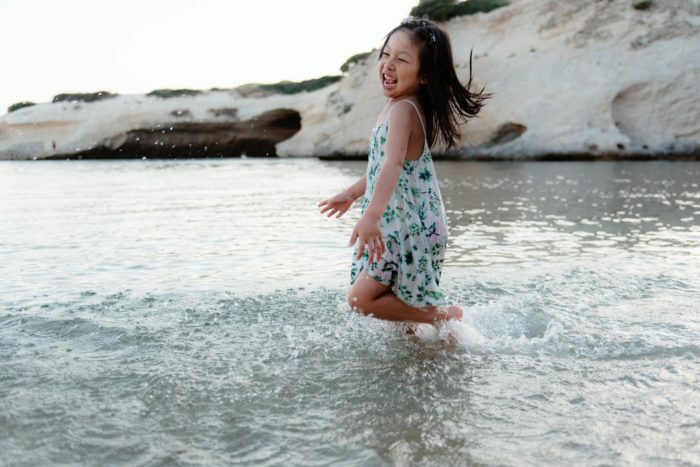 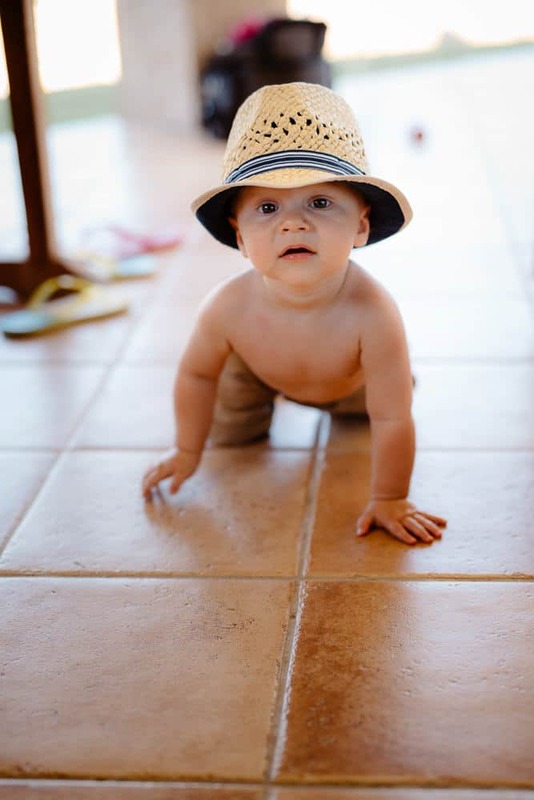 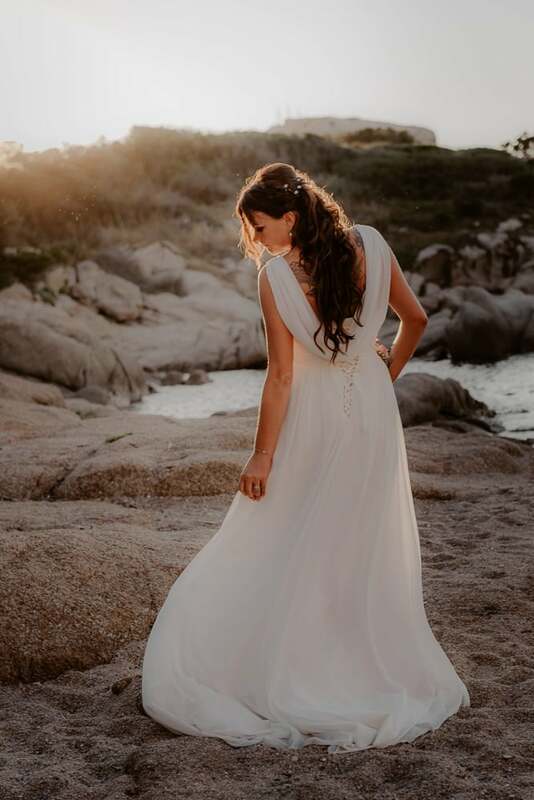 This wedding took place in a few kilometres in the beautiful Baja Sardinia, Olbia. 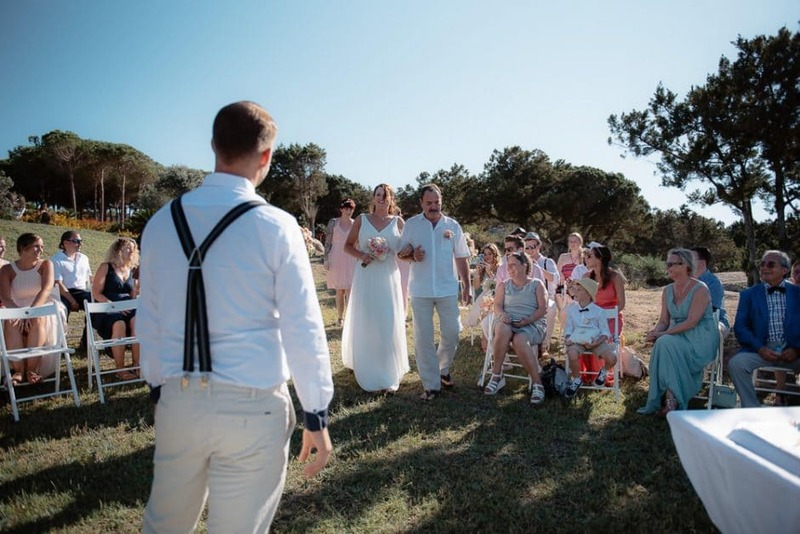 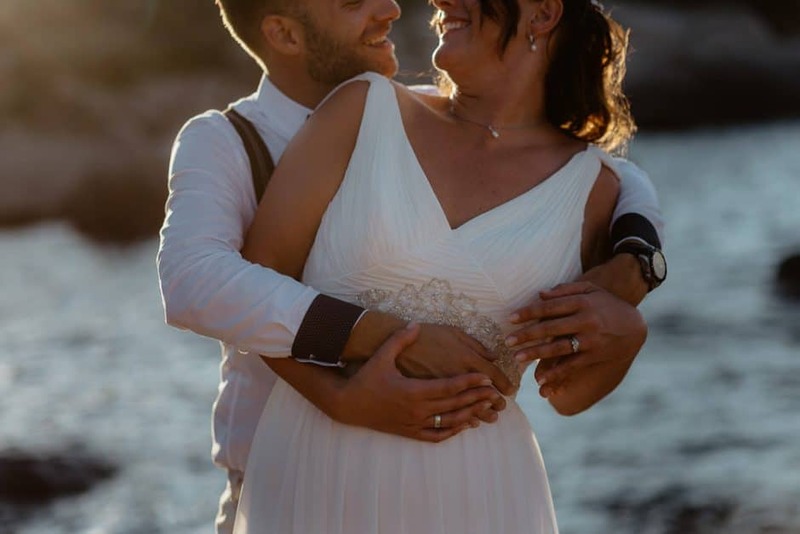 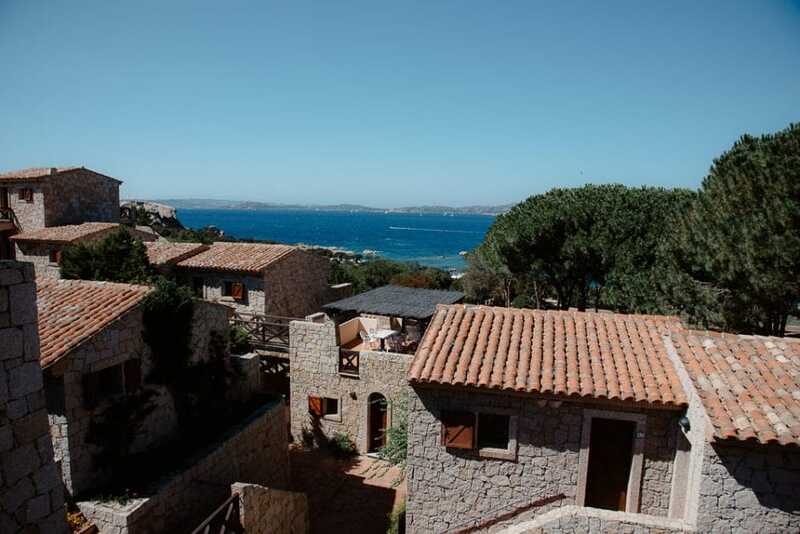 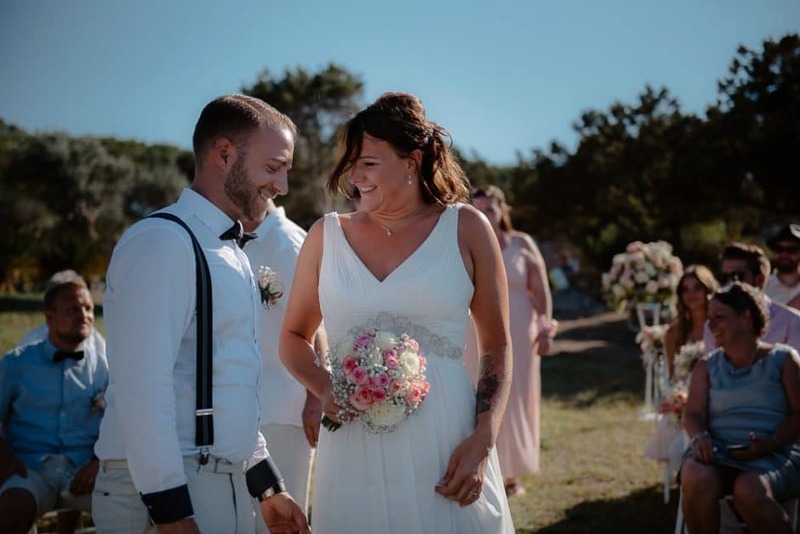 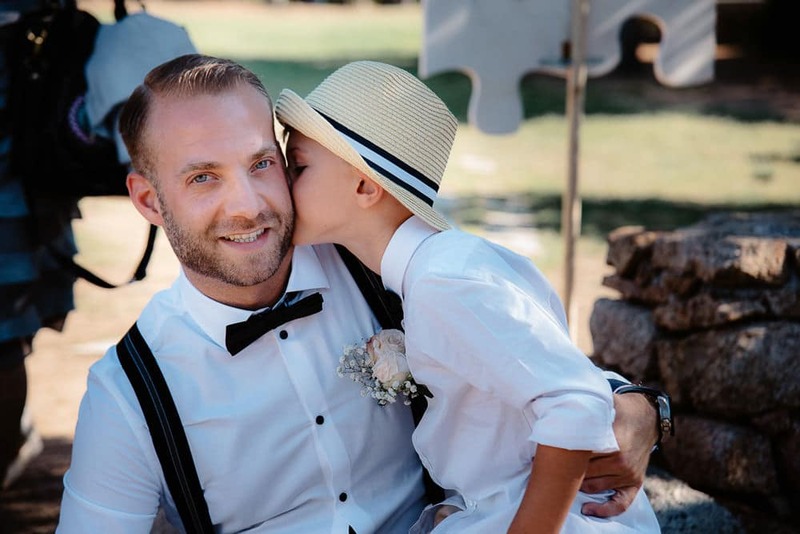 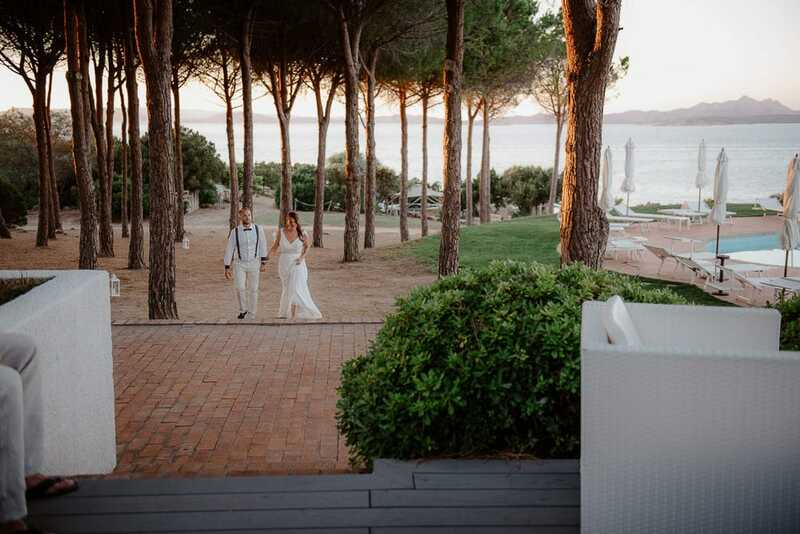 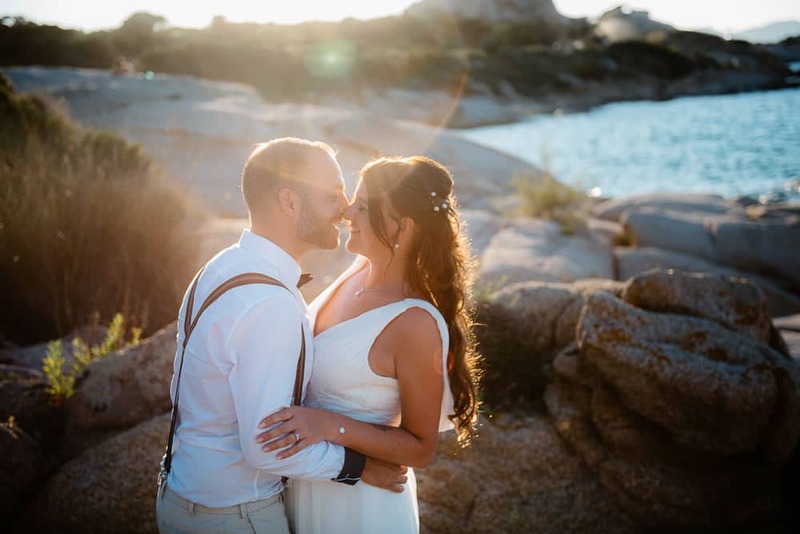 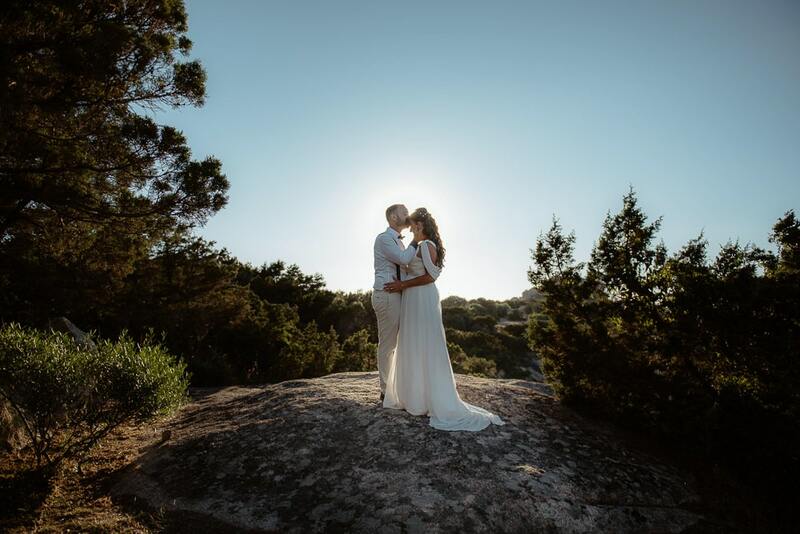 Swiss people with Italian origins, have fallen in love with Sardinia and have decided to marry here near Olbia. 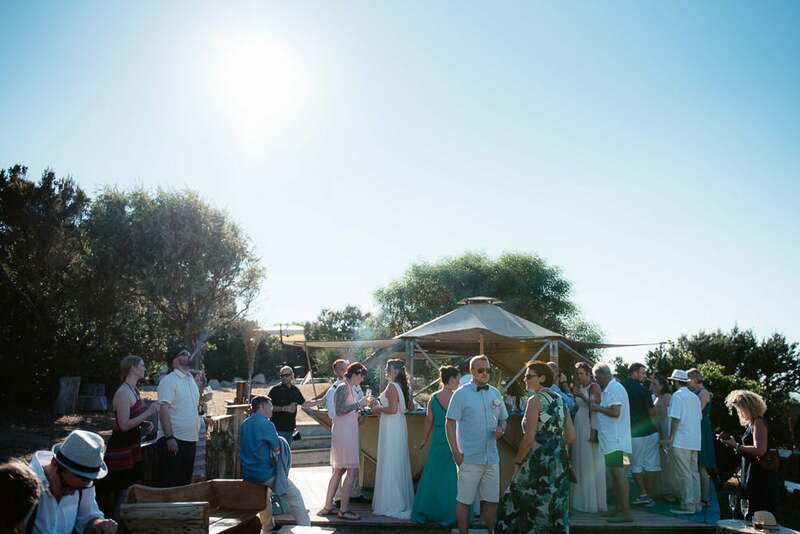 A celebration in front of the beach on a hot end of July. 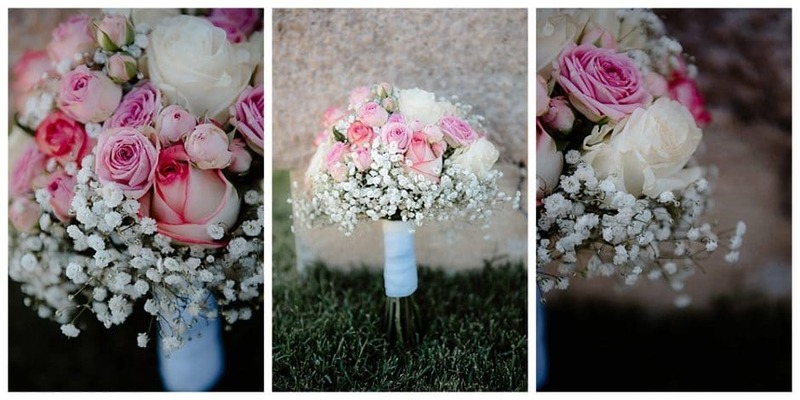 Pink and white in a classic and colourful look. 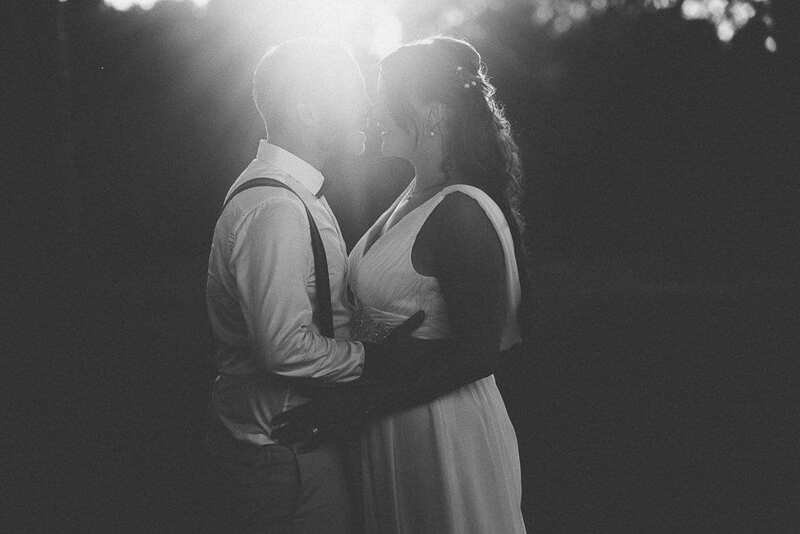 An intimate wedding, with 30 guests. The kind of wedding I prefer. 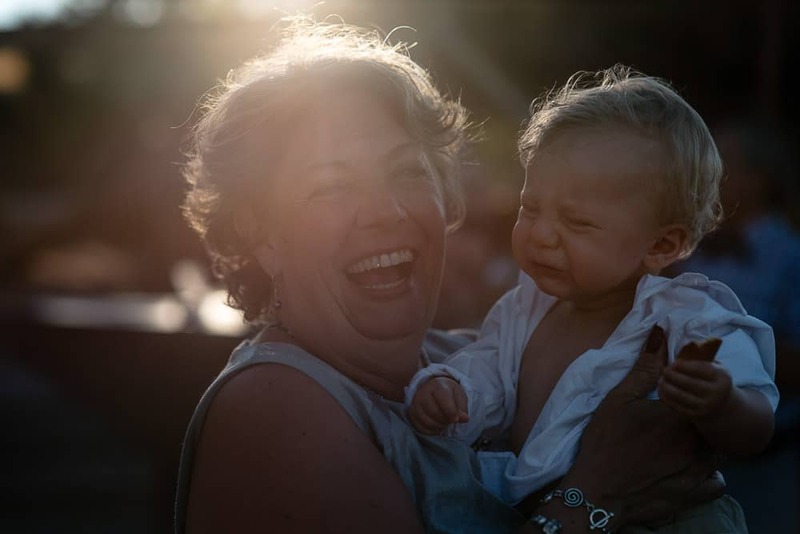 Warm, exciting, tears and smiles from the great extended family. 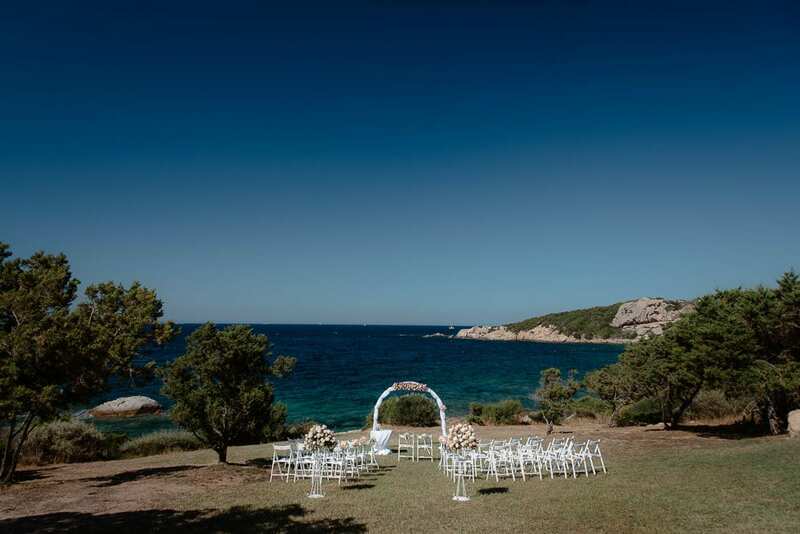 The location was beautiful, private beach, rocks, and a lawn for the ceremony. Aperitif on the lawn and outdoor dining near the beautiful pool, with a wonderful sunset in front. 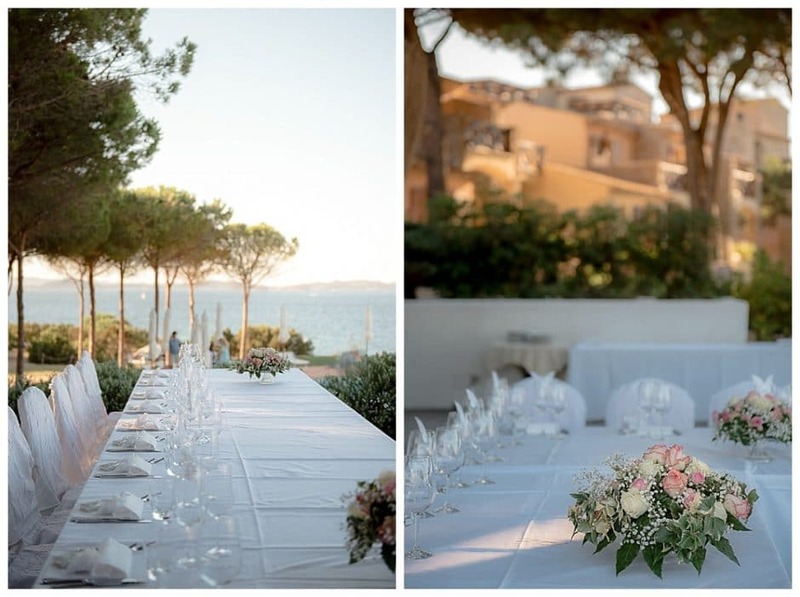 Simple and elegant set-up that “married” very well with the couple.